Summer’s Here with Memorial Day at Squaw Valley! It’s been an incredible winter at Squaw Valley with Miracle March dropping 18 feet of snow for great spring skiing for the whole family! Monday, May 28th marks your last day of the season to get in turns at Squaw Valley, and then it’s time to bid farewell to Old Man Winter. Memorial Day weekend signifies the start to summer, and Lake Tahoe is full and ready for warm weather family fun! Squaw Valley Lodge celebrates summer by opening their pool Friday, May 25! Lounging in the sun not your thing? Enjoy a round of golf on 250 acres of beautiful mountain terrain in the valley (check out Resort at Squaw Creek to book your tee times). Rent bikes at Factory Bike Rental, and cruise along the Truckee River Bike Trail into Tahoe City for a scoop of ice cream, or ride even farther down the West Shore for a drink on the infamous deck at Sunnyside Restaurant. All are iconic ways to kick off summer at Tahoe! Or join in the fun with the sixth annual The Village at Squaw Valley’s Made in Tahoe Festival where you can enjoy all things local (over 100 vendors), great food, and live music and performances. The Festival runs from 11am-7pm on Saturday May 26 and 11am-5pm on Sunday May 27. Family friendly and free admission. For more details see http://squawalpine.com/events-things-do/made-tahoe-festival. Surprise that special someone when you book our Lake Tahoe Romantic Getaway Package. You’ll enjoy relaxing accommodations along with a three-course meal and Swedish massage for two. Rates start at just $167. Click to book now! Do you want to surprise dad this Father’s Day? 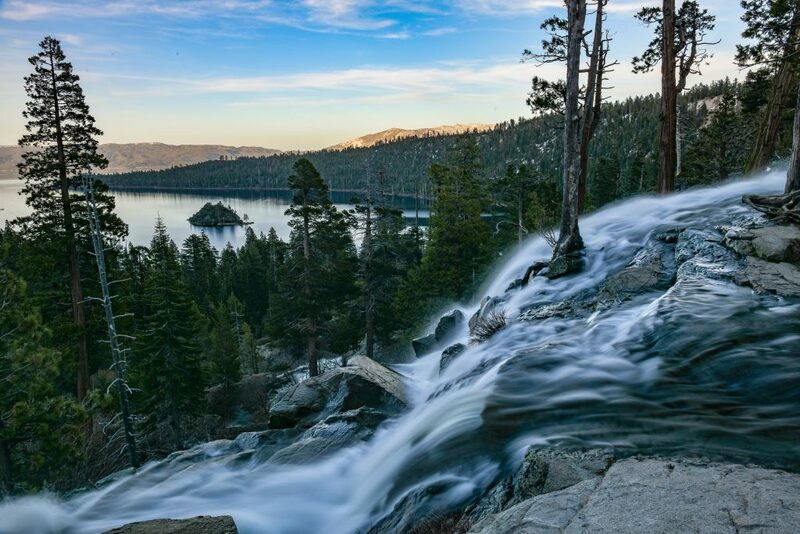 Plan a weekend of adventure in Lake Tahoe! Dad will love the beautiful mountain scenery and fun activities at our Squaw Valley Resort.